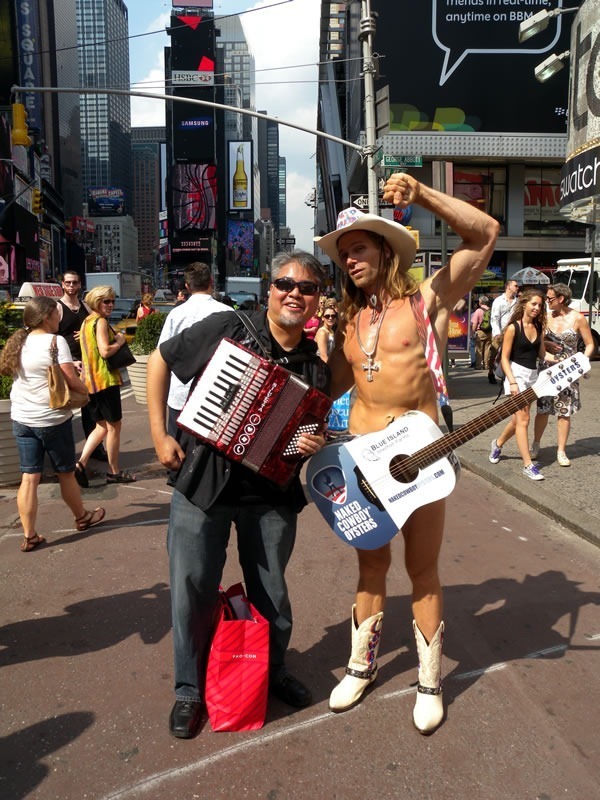 …and I can scratch one item off the “Bucket List”: do a musical number with the Naked Cowboy of Times Square. Sadly, not the original Naked Cowboy … so you’re a miss on this goal, generally. Grad Conn: I view the Naked Cowboy kind of like the Green Lantern Corps — it wouldn’t matter whether I met Hal Jordan, John Stewart, Guy Gardner, Kilowog or even G’nort, I’d still have met a Green Lantern!